In “Typography / Urbanization: NYC”, a computer font is used to draw city blocks instead of letters. 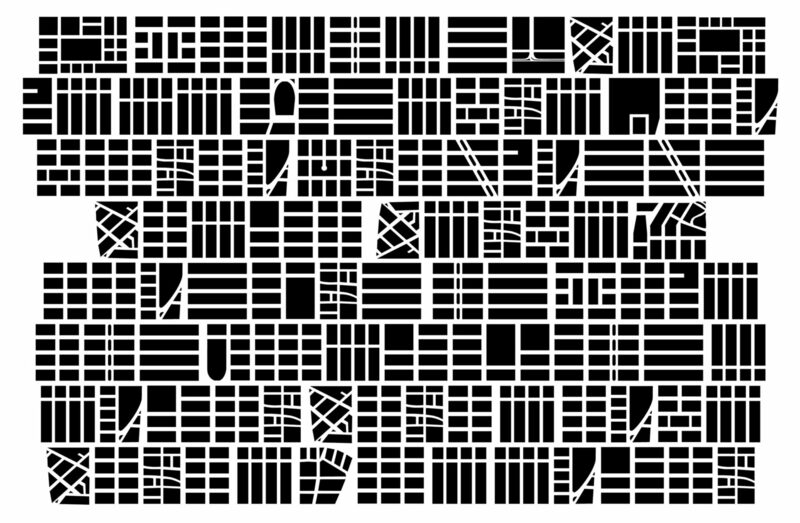 A number of the original city map’s blocks form a letter and so, a text entered into the computer forms an urban map. Drawing is a common origin of maps and letters. There is also a notion of representation implied in cartography and writing: as something that is put in the place of other, in order to re-present it. A map depicts a geographical or urban situation in a specific way; a written text gives shape to the spoken word, also presented through graphic symbols. Both notions of drawing and representation are related to the idea of projection: projection of meaning, of ideas, of places.